I am not a sun worshiper. 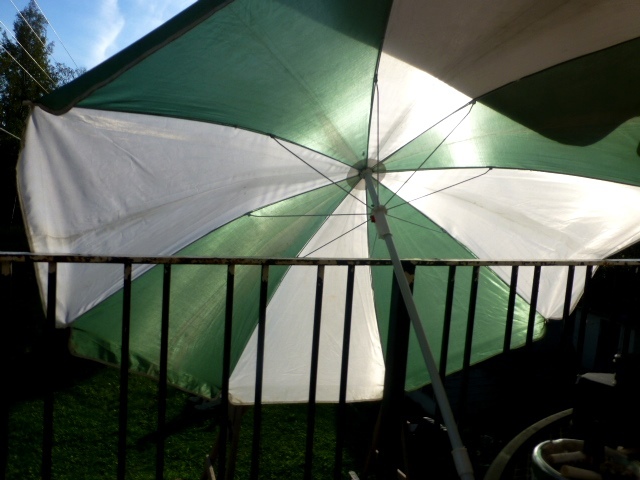 This umbrella used to block the sun, in addition to the huge one over the table. The chickadees kept flitting past it, so I thought I’d try to snap a photo of their shadows going past. No such luck. 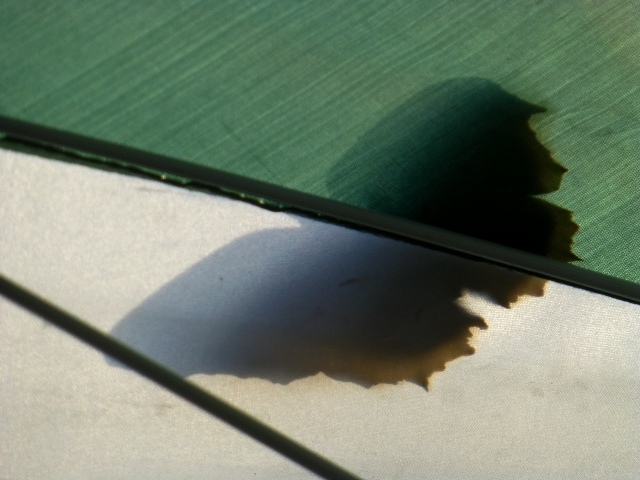 However, I did capture a large moth’s shadow. 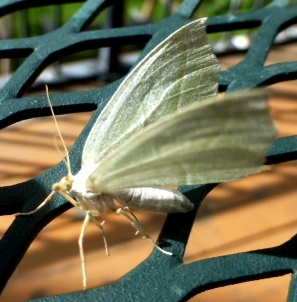 Speaking of moth’s, this one came for a visit at my table. I took some photos, then it simply disappeared! I sat my camera down and as the lens closed the moth jumped off…he had hopped from the table to my camera lens. Another visitor, a chickadee, I believe. 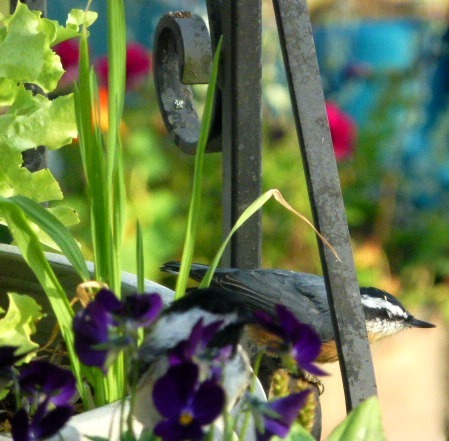 They come each evening, between 7:30 and 8:00 to gather seeds from the feeder. My folks put all the feeders away when the bears wake up, so as not to attract them to their yard. I risk it all and have one clandestine feeder and one suet tray. Please don’t tell my dad…or the bears. When mom and I took Sophie back to my brother’s house, I learned something new. I learned about Larch trees. My brother has a row of them at the front of his property and I went to explore what mushrooms might be growing beneath them (none). The tree is a deciduous conifer, meaning that it sheds its leaves (needles) in the fall. It has hard, waterproof wood and is often used in building boats. It smells wonderful, but the best thing was the feel of the needles. They are very very soft! 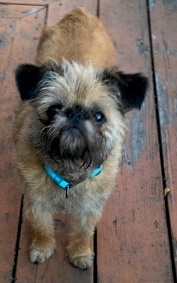 Here is Sophie…watching the birds, begging me to get off the deck, and trying out all the seats in mom’s car. She really really wanted to come back with us. It took all three of us to get her out and get Cee Cee in. On the way home from Michael’s house, I pulled in to take photos of these awesome weeds. 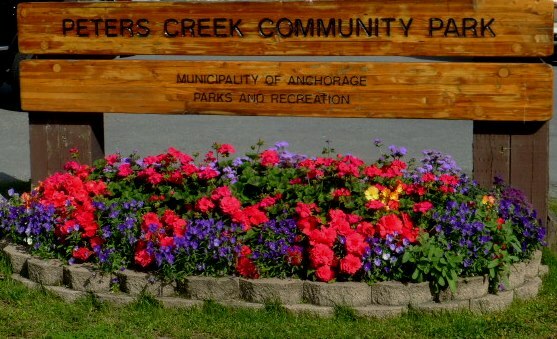 That’s when mom told me that her and dad had rented the house we were parked behind, when they moved back to Alaska in the mid-80’s. Weird, I never knew that and we’ve driven by it a million times. Anyway, cool weeds, huh? 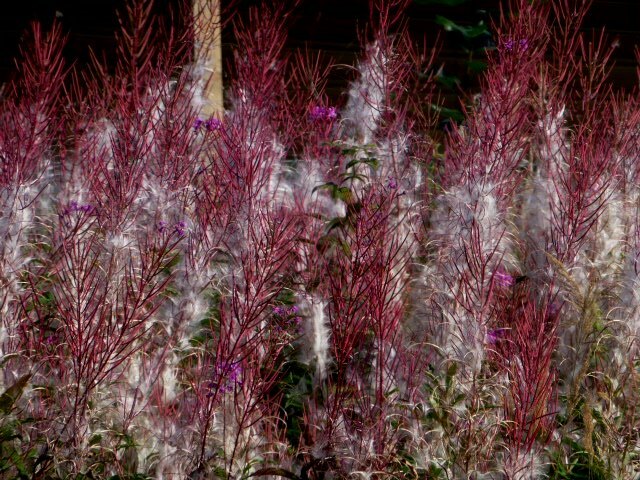 Fireweed. 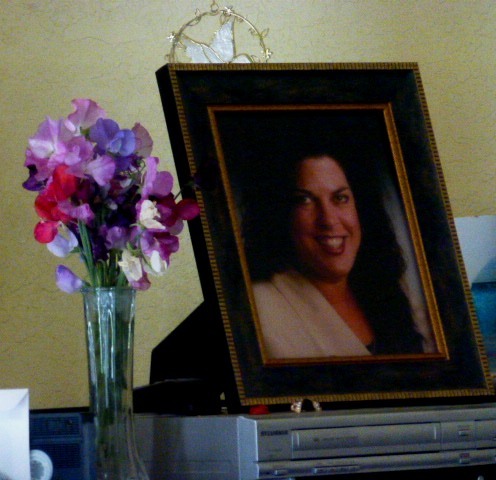 Last, but not least, a fresh bouquet of mom’s sweet peas for my sister, Michaela (1964-2012). She gets store-bought flowers from dad in the winter and fresh flowers out of the garden from mom in the summer. I hope you enjoyed these snippets. 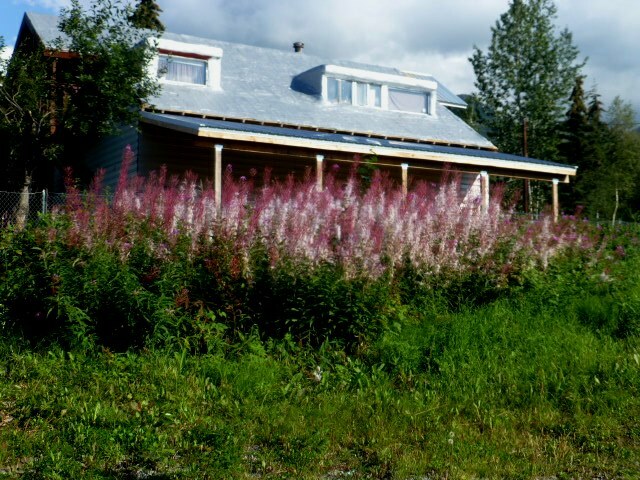 Categories: ALASKA Travels, LOVE Family & Friends, Phall Photos | Tags: birds, dogs, family, flowers, pets | Permalink. Recommended for: Lovers of dogs, pets, poetry and nature. 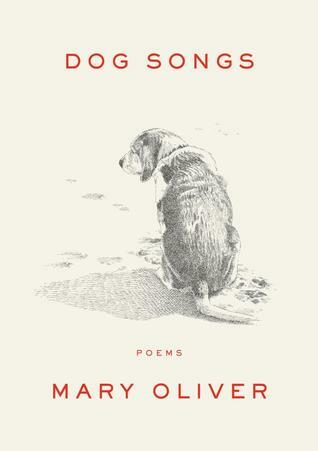 I won an ARC (advanced reader copy) of Dog Songs through a Goodreads and publisher book giveaway. One of my best friends turned me on to Mary Oliver several years ago, and I have been hooked ever since. Mary’s poetry is clear, concise and loving to the small things in this world that many of the rest of us simply overlook. If there is any uncertainty in her writing, it is about something that she notices and then questions. Otherwise, you will find no ambiguity in her words. About Dog Songs? You are going to love it! Mary’s new book begins with a puppy, of course, and then we learn all the things that she (and most of us) love about dogs. She says that the thing these furry friends have that we humans just don’t, their secret ingredient, if you will, is steadfastness. There are so many places in this book that I smiled, laughed and teared-up. While Mary shows the many nuances of these animals, she also shines light and love on their connection to our own species. She adds word to word, sentence to sentence, to offer up another poem that shows our bonds; dog to human, bound in pure love. Mary doesn’t hide reality under the rug either. Dogs aren’t always that cute, they have gross and annoying habits, and they (sadly) have relatively short life-spans. While you read, please notice the way Mary touches her dogs. It is subtle, but do you feel the reverence? It’s all here, in this little white book. The beautiful pen and ink illustrations by John Burgoyne are as clear and concise as Mary’s words. There’s nothing overly sweet, silly or gushy in her words, yet the dog songs may make you feel that way. I am surrounded by gushy dog-lovers. Almost every person in my circle is a gushy dog-lover. I am not. I am a plant-animal-bug-tree-sky-water-lover. And not gushy at all. I do hear all of their songs though. Categories: BOOK News & Reviews, Poetry | Tags: dogs, love, nature, poem, poetry, songs | Permalink. I’m learning how much it helps my own writing “groove” to spread the word on great sites to others who are trying to improve their own “groove.” It seems writers are big into helping eachother out, as the folks at the sites below have done for me. I won’t repeat that overused, but catchy saying, but I will hope that you pass it on! I’ve been submitting a few stories, poems and such to a friendly site, http://fictionaut.com/ that has been great practice for me.. I’ve had a good number of readers, a few commenters, and a couple of favs from the writing community there. I’m still on the lookout for a way to get more readers and/or to find other sites that might work better for me. Two days ago I got brave, I mean really brave, and joined the campers at National Novel Writing Month. You can find them here, http://www.campnanowrimo.org The next writing starts in June, so I hope to have my act together enough to participate. They are very serious about getting writers to commit to a completed 50,000 word novel in one month. Yikes. Good ole Robert Lee Brewer is the bane of my existence lately. As I’ve mentioned before, I’m following along his April challenge for writers to build their platform. He can be found here http://robertleebrewer.blogspot.com if you want some great step-by-step help in building your platform. I’m thinking I’ll just get a box to stand on and shout at people to buy my damn book. Now there’s a platform I could get behind. Seriously, he has links for his links to every useful site a writer could ever want. Sue Mitchell at www.AnUntoldStory.com has me doing memoir work every few days that seems to be building into something…although one trusted critiquer in my local writing class thought my first stab sounded “clinical.” I have even had counselors tell me that in the past. Come on people! Do you think I’d be walking upright if the horrors of life struck me full force like a rogue wave? Uh, nooo. Okay, I’m working on it. Last but not least, I’m still working on biz cards as challenged by the leader of my monthly writer group at the local library. I’m looking for cool writerly clip art, if you know of any, please leave it in a comment. Categories: Writing Journal | Tags: dogs, memoir, novel, submit, writer challenge | Permalink.